BMW has no plans to expand the top of its lineup. That doesn’t bode well for those who are dreaming of one day seeing a 9 Series sit a true flagship model. It might be time to wake up because that dream isn’t going to happen. BMW has confirmed that, even though it finds the appeal in a potential 9 Series, it’s not going to happen, in part because the automaker already has a model that competes in all the top-tier segments it wants to be involved in. More importantly, a business plan for the 9 Series just doesn’t make sense given that volume for models in the super luxury sedan segment — that’s the most likely spot for the 9 Series — are already low enough as it is. Just when it seemed like BMW had finally stretched itself into the luxury segment with the 8 Series, a new report suggests that the German automaker wants to go deeper into the luxury realm with — wait for it — a 9 Series model. Granted, nothing is set in stone at the moment, but Adrian van Hooydonk, BMW’s design director, hinted to Autocar that the 8 Series isn’t the end of the German automaker’s voyage into the world of luxury models. On March 7th, 2016, BMW halted production at nearly all factories, which joined the company’s live official 100th anniversary celebration in the Olympiahalle in Munich. Now, the German brand returned to Olympiahalle for the 96th Annual General Meeting of BMW AG, where chairman Harald Kruger made several announcement about the automaker’s future plans. As is the case with such important events, BMW unveiled plans to further expand its vehicle lineup and confirmed that brand-new vehicles will be launched in the future. Arguably the most important news is that BMW will introduce a new luxury model. 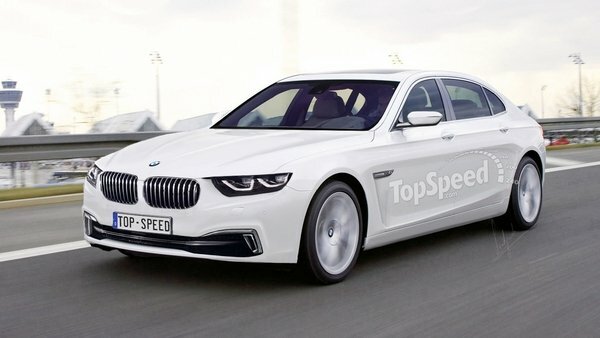 Kruger had no actual details to share, but the most likely candidate is the highly anticipated 9 Series. Essentially a longer 7 Series with a slightly revised exterior design, the 9 Series will be aimed at long-wheelbase versions of the S-Class and slot right below the Rolls-Royce Ghost. Rumored since 2013, the limousine will most likely arrive in late 2018 or early 2019. Another model confirmed by Kruger is the X7. Also rumored for quite some time, the X7 will become BMW’s largest SUV and will offer seating for up to seven people. Key competitors for the big hauler will include the Cadillac Escalade and Lincoln Navigator. According to BMW, the X7 will become available in 2018, which means we could see it in concept form sometime in 2017. The vehicle will likely share underpinnings with the upcoming Rolls-Royce SUV, known as project Cullinan. Kruger also said that BMW aims to expand its M and i programs. Although details are slim, we expect to see a full-fledged M7, as well as high-performance versions of the X1, X3, and X7. As far as the electric/hybrid i family goes, BMW will probably launch a larger version of the i3, dubbed i5. Alongside the new nameplates, Munich will also debut new technology. Confirmed developments include an enhanced connectivity system, use of artificial intelligence, and autonomous cars. Norbert Reithofer is set to step down as the CEO of BMW on May 13th, but his successor and former production chief, Harald Krueger, is already starting to shake things up with the elimination of the i8S, M8, and other key Bimmer and Mini concepts. The i8S was all but confirmed just months ago, but now this higher-output version of the already impressive i8 is on the scrapheap. 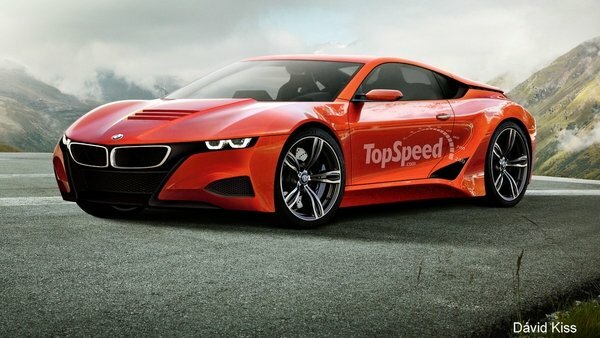 Another high-profile BMW concept turned reject under the new regime is the M8. Initial reports about the M8 claimed it would share most of its styling elements with the i8, but under its hood, it would have a twin-turbo V-8 with about 600 horsepower. While both the i8S and the M8 were awesome on paper, neither made too much business sense. Both would take away from potential i8 sales, despite the power and price differences, and there just isn’t much room in Bimmer’s customer base for this many supercars. Also gone are the 9 Series coupe, the Z2 Roadster, and the 2 Series GT. The report from Automobile Magazine goes on to claim that Krueger also sent a few undisclosed Mini concepts packing. In the midst of all this spring cleaning, there was one concept that remained: the i5. According to the report, the i5 will receive the go-ahead later in 2015 as a traditional, three-box sedan with a pure-electric powertrain or a plug-in hybrid drivetrain. The all-electric model will reportedly use a 225-horsepower motor in the rear and a 135-horsepower motor up front, while the plug-in hybrid would use a 275-horsepower electric motor and either a three- or four-cylinder engine. Continue reading to learn more about the elimination of these models. 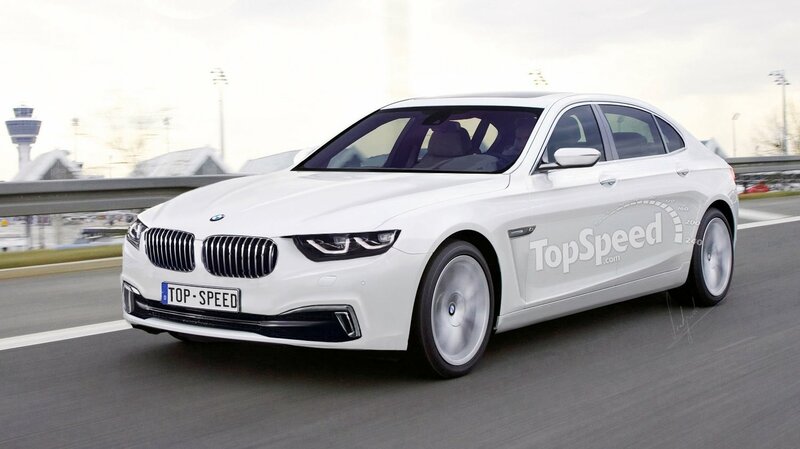 BMW’s New Boss Drops Plans for the M8 and i8s originally appeared on topspeed.com on Sunday, 3 May 2015 23:00 EST.